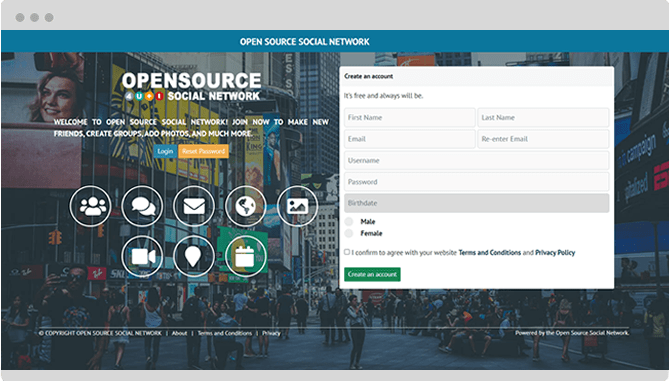 Get your own social network running in no time. 10GB Disk , More disk more data can be stored. Should be Ubuntu Server x64 bits. * Unzip the files in your domain’s document root (/home/username/public_html/). OSSN needs a special folder to store uploaded files including profile icons and photos. You will need to create this directory. doing it wrong. 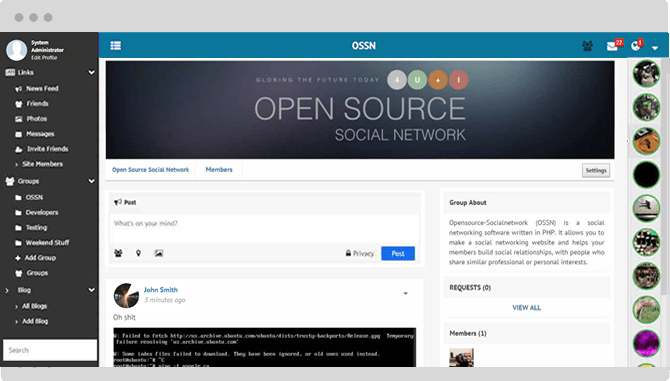 Once this folder has been created, you’ll need to make sure the web server OSSN is running on has permission to write to and create directories in it. 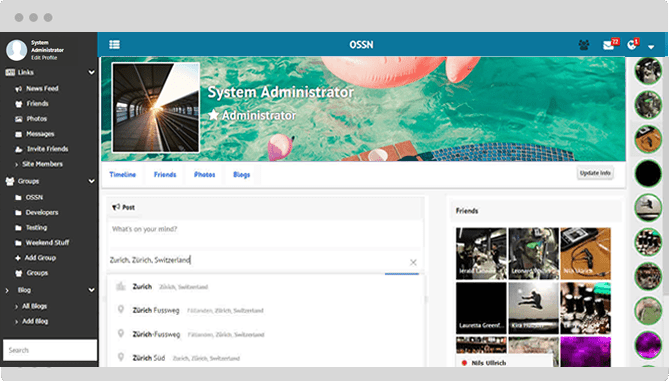 Using your database administration tool of choice (if you’re unsure about this, ask your system administrator), create a new MySQL database for OSSN. Make sure you add a user to the database with all privileges and record the database name, username and password. You will need this information when installing OSSN. Once you’ve performed these steps, visit your site in your web browser. 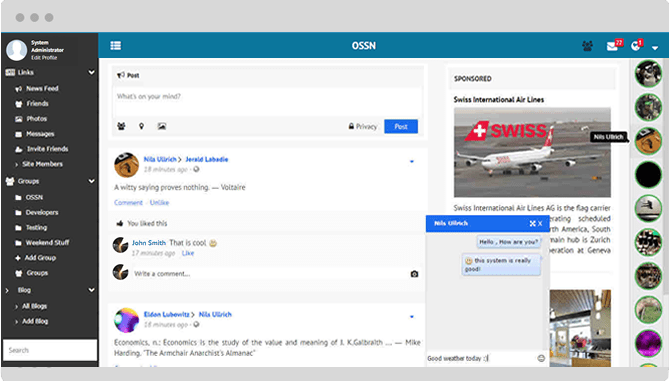 OSSN will take you through the rest of the installation process from there. 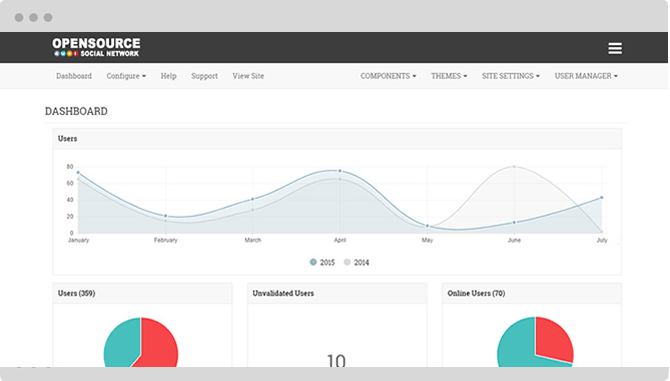 The first account that you create at the end of the installation process will be an administrator account.